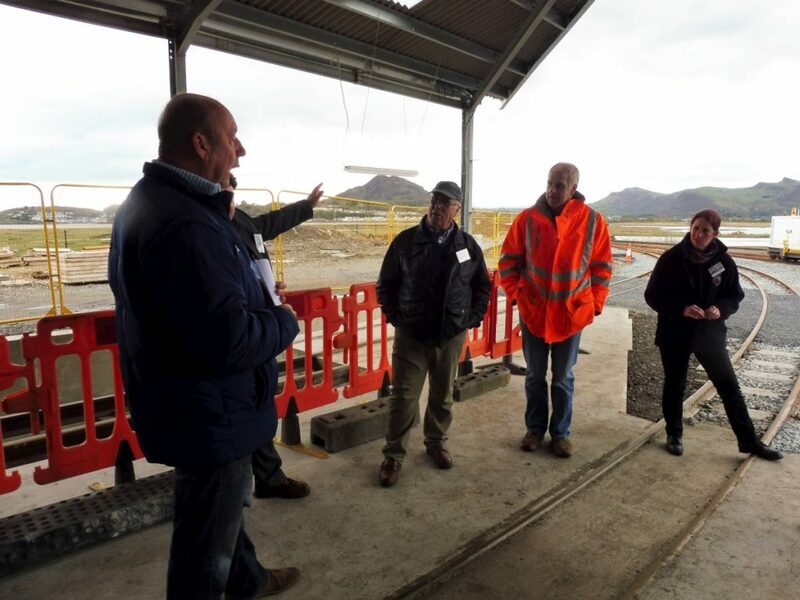 He explained to the group about how work has progressed over the years and the skills and techniques that have developed yet, at the same time, keeping the heritage side of the site protected until funds are available to continue restoration works. He continued to inform on the proposals to raise around £6 million to eventually carry out all the essential works to keep Boston Lodge at the forefront of engineering and carriage building. We encourage other railways to bring their work to Boston Lodge, such as the Ravenglass Carriages as a means of generating much-needed funds. Brell Ewart is Chairman and Chief Executive of Whitehouse Construction. He has also been a life member of the FR for over 30 years. His company built the new heritage carriage shed at the back and carried out the raising of the roof, etc on the existing shed. Did you know, his company also built the sheds at Minffordd Yard! Brell was able to give the history of the reclaiming of the land, building the wall and raising the roof to accommodate Garratts. 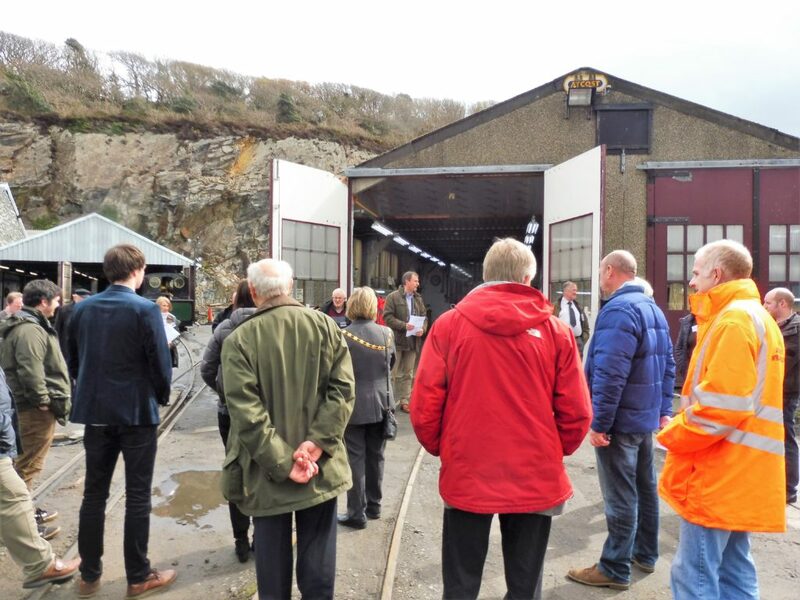 He also advised the group of why the work had stopped for now, until future funding could be raised to build a 3rd shed to accommodate all the additional stock we have – 60 working carriages, not counting the heritage ones. 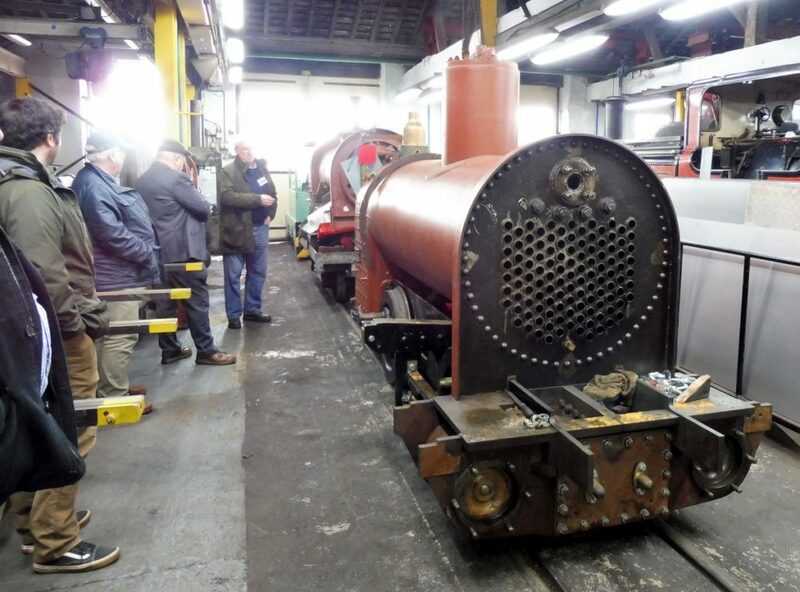 Tony Williams took the group round the engineering side of the railway and explained the history of the workshops. He talked about the work of both staff and volunteers in restoring Welsh Pony, about building the Double Fairlies here in the 1860s and how the work continues as we build a new Double Fairlie Engine, James Spooner. Paul took us around the Historic end of Boston Lodge and talked about how it would have looked in the early 1800s and how we would like to re-create it. We went into the old Loco Shed where back in the early ’50s our original engines were found and restored and still in use today. He discussed what our plans are, finances permitting, in re-creating the area as it was back in the day. 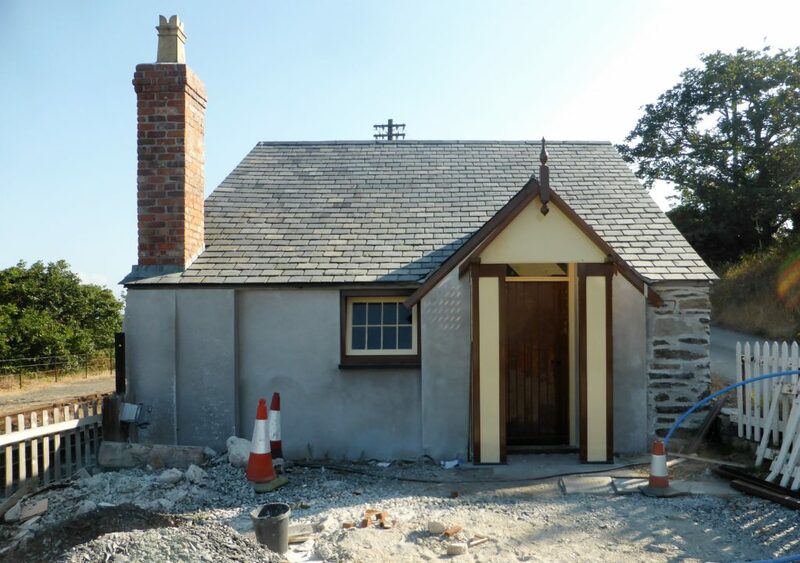 We have made a start, thanks to donations, for Plas Smart and the Blacksmiths shop. 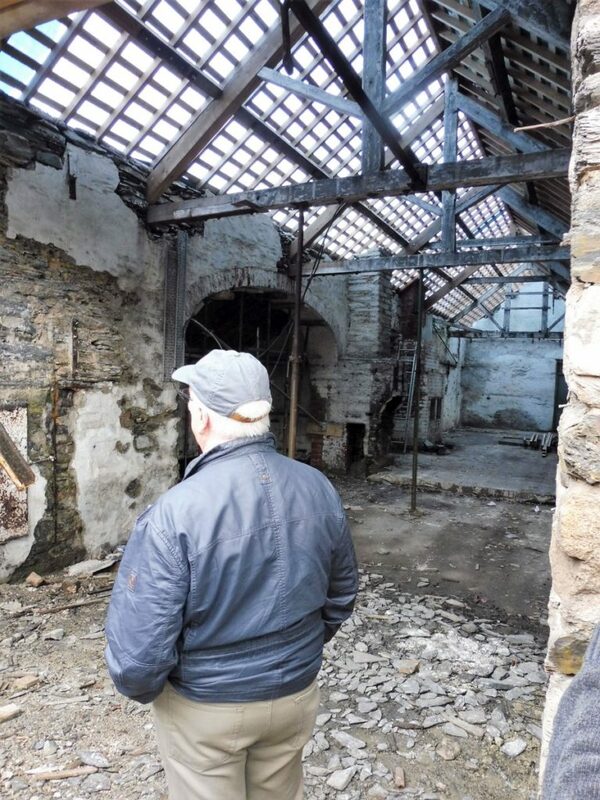 We had a look inside the old Blacksmiths shop – from a safe place – and, thanks to a generous donation, he explained how we are going about restoring it, including work to return the 5 chimneys. I think our visitors were very surprised at the level of work taking place at Boston Lodge. Not only how many local people are employed by the railway but also, how much the railway contributes to Gwynedd County and tourism. The afternoon closed with a ride, back across the cob, to Porthmadog.